Start Reaping The Rewards Of This Lucrative Digital World. Get The Piece Of Success You Deserve! We follow a ‘Opportunity, Strategy, Action’ approach to compare where you are now to assess the potential against where you need to be in the future. This approach makes it easy to decide where to target and achieve big improvements. 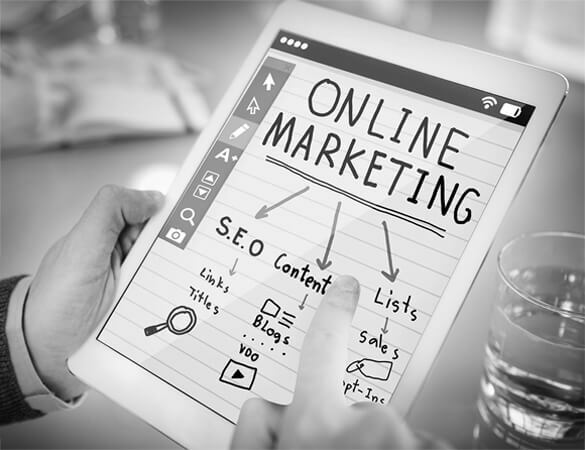 Digital marketing is the heart of every business, so we build proper strategic plans that improves your online presence and set you top in competition. We use our digital marketing plan to support our overall transformation strategy using the key tactics like intensive researching, planning, social media, email marketing. We need to define our target audience through data & analytics and market research. From there we can build personas and map out the customer journey, identifying every pain point in order to improve overall user experience and conversion rates.